On Dec. 8th of this year, combat fighter pilot, test pilot, astronaut & senator, John Glenn, passed away at age 95. 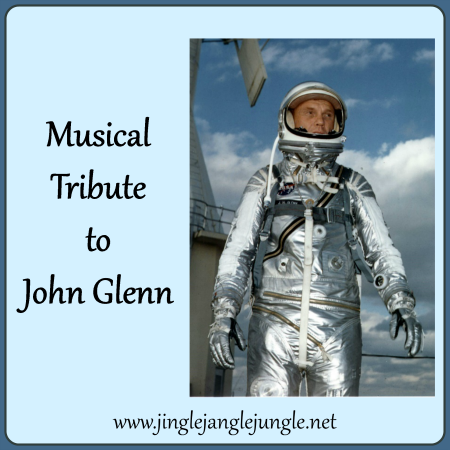 John Glenn was the first American to orbit the Earth back in 1962. 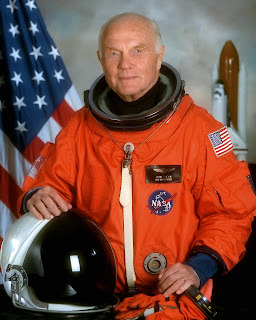 In 1998, he became the only sitting senator to have gone into space, after catching a ride on a space shuttle. John Glenn also set a record for the oldest person in space during that same flight, being that he was 77 years old at the time. After the shuttle landed, he was carried off on a stretcher so that NASA physicians could study the effects of spaceflight upon the elderly. Do note that most, if not all astronauts were over 40 years of age. In tribute, here are a couple of space-related songs by David Bowie: Space Oddity, and Starman. If you have any space- or John Glenn-related stories, or anything else aeronautical, feel free to share them in the comments below. 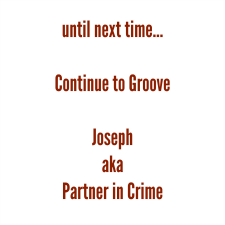 This has been Joseph with the shout out to John Glenn. R.I.P, Sir.